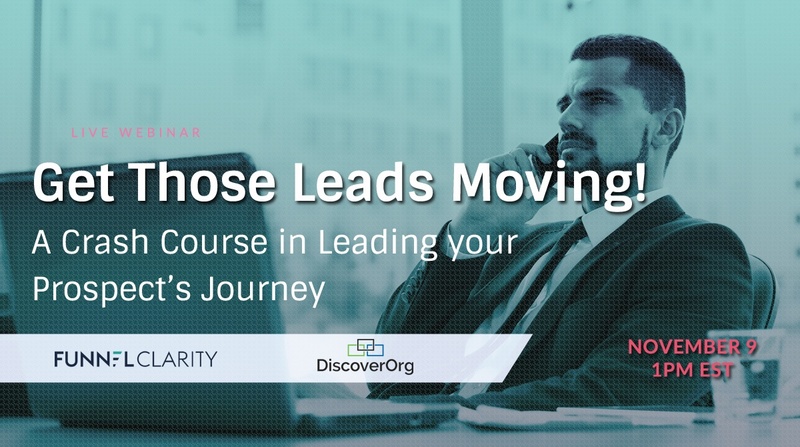 Webinar: Get Those Leads Moving! Do you know the factors and prospect behaviors that indicate a true sales opportunity? How do you determine which opportunities belong in your sales funnel and which ones should be disqualified? Further, have you ever wondered what specific buyer behavior triggers deals to progress from stage to stage in your funnel? Join Tom Snyder, Founder & Partner of Funnel Clarity and Steve Bryerton from DiscoverOrg as they discuss hands-on tactics and best practices for classifying opportunities and moving them through the funnel. Specific tactics for each stage of the sales funnel to get opportunities moving!